Sound plays a vital role in the lives of marine mammals; understanding how they use acoustics provides inspiration for man-made systems, whilst monitoring the impact of man-made noise is important for their conservation. Paul is Professor of Statistical Signal Processing in the Institute of Sound and Vibration Research (ISVR) and is currently the Director of that Institute. 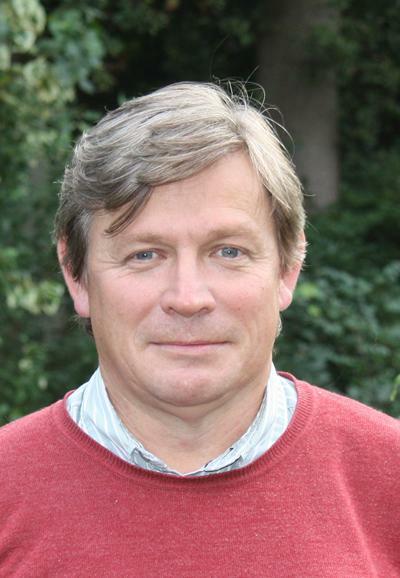 Having obtained a BSc in Mathematics in 1985, Paul moved along the south coast to Southampton to undertake his PhD at the University of Southampton, becoming a lecturer in ISVR in 1988 and was awarded his Chair in 2004. Paul has research interests which include signal processing, underwater acoustics and bioacoustics (the way animals, especially marine mammals, use sound). He is primarily concerned with developing tools to assist in the computer-aided analysis of underwater sounds and understanding the role of those sounds in the marine environment. Acoustics, in the form of sonar, is an important tool for the exploration of the marine environment. It is used by the seismic industry to locate oil and gas reserves, by the military to detect objects, by oceanographers to make measurements and by marine mammals to survive. Man-made underwater acoustic systems rely upon computers to process the data coming from sensors to interpret the environment. The processing methods within the computer systems are a critical component often defining the overall success of the instrument. This page describes the research project on signal processing for whale and dolphin vocalisations. Leighton, T. G., Finfer, D. C., & White, P. R. (2008). Experimental evidence for enhanced target detection by sonar in bubbly water. Hydroacoustics, 11, 181-202. White, P. R., & Hadley, M. L. (2008). Introduction to particle filters for tracking applications in the passive acoustic monitoring of cetaceans. Canadian Acoustics, 36(1), 146-152. Leighton, T., Fedele, F., Coleman, A., McCarthy, C., Jamaluddin, A., Turangan, C., ... White, P. (2008). The development of a passive acoustic device for monitoring the effectiveness of shockwave lithotripsy in real time. Hydroacoustics, 11, 159-180. Leighton, T. G., Mantouka, A., White, P. R., & Klusek, Z. (2008). Towards field measurements of populations of methane gas bubbles in marine sediment: an inversion method required for interpreting two-frequency isonification data from sediment containing gas bubbles. Hydroacoustics, 11, 203-224. Leighton, T., Finfer, D., Grover, E., & White, P. (2007). An acoustical hypothesis for the spiral bubble nets of humpback whales and the implications for whale feeding. Acoustics Bulletin, 22(1), 17-21. Leighton, T. G., Finfer, D. C., & White, P. R. (2007). Cavitación y cetáceos. [Cavitation and cetacean]. Revista de acustica, 38(3-4), 37-74. Fedele, F., Coleman, A. J., Leighton, T. G., White, P. R., Humphrey, V. F., Ryves, S., ... Finfer, D. C. (2006). An ultrasound based passive monitoring system for extracorporeal shock wave lithotripsy (ESWL). Proceedings of the Institute of Acoustics, 28(1), 770-773. Leighton, T., Finfer, D., & White, P. (2006). Letter: Not sonar. Independent on Sunday. 2 April, 2006. Johansson, A. T., & White, P. R. (2004). Detection and characterization of marine mammal calls by parametric modelling. Canadian Acoustics, 32(2), 83-92. Leighton, T. G., & White, P. R. (2004). The sound of Titan: a role for acoustics in space exploration. Acoustics Bulletin, 29(4), 16-23. Leighton, T. G., Richards, S. D., & White, P. R. (2004). Trapped within a 'wall of sound': a possible mechanism for the bubble nets of the humpback whales. Acoustics Bulletin, 29(1), 24-29. Richards, S. D., Leighton, T. G., & White, P. R. (2002). High frequency sonar variability in littoral environments: Absorption by irregular particles and bubbles. Journal of the Acoustical Society of America, 112(5), p. 2309. Cunningham, K. B., Coleman, A., Leighton, T. G., & White, P. R. (2001). Characterising in vivo acoustic cavitation during lithotripsy with time-frequency methods. Acoustics Bulletin, 26(5), 10-16. Yim, G. T., White, P. R., & Leighton, T. G. (2001). Estimation of the time, location and natural frequency of entrained bubbles, through identification of individual bubble signatures in a severely overlapping, noisy surf zone environment (presented at Acoustical Oceanography 2001, Southampton). Proceedings of the Institute of Acoustics, 23(2), 250-256. Leighton, T. G., Meers, S. D., Simpson, M. D., Clarke, J. W. L., Yim, G. T., Birkin, P. B., ... Richards, S. D. (2001). The Hurst Spit Experiment: the characterisation of bubbles in the surf zone using multiple acoustic techniques (paper presented at Acoustical oceanography 2001). Proceedings of the Institute of Acoustics, 23(2), 227-234. Meers, S. D., Leighton, T. G., Clarke, J. W. L., Heald, G. J., Dumbrell, H. A., White, P. R., ... Griffiths, G. (Ed.) (2001). The importance of bubble ring-up and pulse length in estimating the bubble distribution from propagation measurements. Proceedings of the Institute of Acoustics, 23(2), 6pp. Lee, S. K., & White, P. R. (2001). The L-Wigner distribution and its use as a tool for condition monitoring. International Journal of COMADEM, 4(1), 5-11. Hughes, E. R., Leighton, T. G., Petley, G. W., & White, P. R. (2001). Ultrasonic assessment of bone health. Acoustics Bulletin, 26(5), 17-23. Hughes, E. R., Petley, G. W., Leighton, T. G., & White, P. R. (2000). A stratified model for ultrasonic wavesin bone. Osteoporosis International, 11(Supplement 3), p.S34. Hughes, E. R., White, P. R., Leighton, T. G., & Petley, G. W. (2000). Recent advances in the understanding of ultrasonic propagation in cancellous bone. Osteoporosis International, 11(Supplement 1), S33-S34. Leighton, T. G., White, P. R., & Marsden, M. A. (1995). Applications of one-dimensional bubbles to lithotripsy, and to diver response to low frequency sound. Acta Acustica united with Acustica, 3, 517-529. White, P. R. (2009). Higher order statistical signal processing. In C. Boller, F-K. Chang, & Y. Fujino (Eds. ), Encyclopaedia of Structural Health Monitoring (pp. 567-578). Chichester: UK: Wiley. White, P. R. (2004). Modelling of sound propagation in the ocean. In F. Fahy, & J. Walker (Eds. ), Advanced Applications in Acoustics, Noise and Vibration (pp. 154-180). UK: Taylor & Francis. White, P. R., & Hammond, J. K. (2004). Signal processing techniques. In F. Fahy, & J. Walker (Eds. ), Advanced Applications in Acoustics, Noise and Vibration (pp. 1-50). UK: Taylor & Francis. Chen, L., Norwood, C., White, P., & Leighton, T. (2017). Study of bubble formation dynamics based on associated acoustic radiation. Paper presented at 24th International Congress on Sound and Vibration, London, United Kingdom. Deleau, M., Leighton, T., White, P., & Kemp, P. (2016). Understanding the impact of human sounds on eel behaviour, a way to develop behavioural guidance techniques. Dogan, H., White, P. R., & Leighton, T. G. (2015). Acoustic inversion for gas bubble distributions in marine sediments: mercury results. Paper presented at Seabed and Sediment Acoustics: Measurements and Modelling, United Kingdom. Dogan, H., Leighton, T. G., & White, P. R. (2014). Comparison of theories for acoustic wave propagation in gassy marine sediments. Paper presented at 2nd International Conference and Exhibition on Underwater Acoustics (UA2014), Greece. Berges, B. J. P., Leighton, T. G., White, P. R., & Tomczyk, M. (2014). Passive acoustic quantification of gas releases. Paper presented at 2nd International Conference and Exhibition on Underwater Acoustics (UA2014), Greece. Dachasilaruk, S., Bleeck, S., & White, P. R. (2013). Noise reduction in wavelet domain for cochlear implants. Poster session presented at British Society of Audiology Short Papers Meeting, United Kingdom. Berges, B. J. P., Leighton, T. G., White, P. R., Tomczk, M., & Wright, I. C. (2012). Acoustic detection of seabed gas leaks, with application to carbon capture and storage (CCS), and leak prevention for the oil and gas industry: preliminary assessment of use of active and passive acoustic inversion for the quantification of underwater gas releases. In Proceedings of 11th European Conference on Underwater Acoustics (pp. 146-152). Heraklion, Greece: Secretariat, European Conference on Underwater Acoustics. Tomczk, M., Bohrmann, G., Berges, B. J. P., White, P. R., Leighton, T. G., & Wright, I. C. (2012). Detection, localization and quantification of the emissions of gas from the seabed in fieldwork and experimental studies using active sonar systems. 605-612. Paper presented at 11th European Conference on Underwater Acoustics (ECUA2012), United Kingdom. Chua, G. H., Leighton, T. G., & White, P. R. (2012). Use of clicks resembling those of the Atlantic bottlenose dolphin (Tursiops truncatus) with biased pulse summation sonar (BiaPSS) to improve target discrimination in bubbly water. 1903-1908. Paper presented at 11th European Conference on Underwater Acoustics (ECUA2012), United Kingdom. White, P. R., & Locke, J. (2010). The performance of a fractional fourier transform based detector for frequency modulated signals. Paper presented at Sensor Signal Processing for Defence, United Kingdom. Leighton, T. G., Finfer, D. C., White, P. R., Chua, G. H., & Dix, J. K. (2010). Wake penetrating sonar. Paper presented at 1st EAA Congress on Sound and Vibration (EuroRegio 2010), Slovenia. Papadopoulos, T., Christensen, J. E. N., Fox, P., Allen, R., Dorney, S., & White, P. (2009). Beat the dolphin - a multimedia demonstration of dolphin echolocation. Paper presented at EDULearn 09 International Conference on Education and New Learning Technologies, . Pace, F., White, P. R., & Adam, O. (2009). Characterization of sound subunits for humpback whale song analysis. 4th International Workshop on Detection, Classification and Localization of Marine Mammals using Passive Acoustics, Italy. Locke, J. D., & White, P. R. (2009). Detection performance of the fractional Fourier transform (chirp FFT) for frequency modulated signals. In J. S. Papdakis, & L. Bjorno (Eds. ), Proceedings of the Third International Conference on Underwater Acoustic Measurements, Technologies and Results Heraklion, Greece: Foundation for Research and Technology. Leighton, T. G., White, P. R., & Finfer, D. C. (2009). Hypotheses on the acoustics of whales, dolphins and porpoises in bubbly water. In J. S. Papdakis, & L. Bjorno (Eds. ), Proceedings of the 3rd International Conference on Underwater Acoustic Measurements, Technologies and Results (pp. 3-14). Heraklion, Greece: IACM. Mantouka, A., Leighton, T. G., Best, A. I., Dix, J. K., & White, P. R. (2009). Inferring bubble populations in intertidal sediments from attenuation and scattering measurements. In J. S. Papdakis, & L. Bjorno (Eds. ), Proceedings of the 3rd International Conference on Underwater Acoustic Measurements, Technologies and Results (pp. 733-738). Heraklion, Greece: Institute of Applied & Computational Mathematics (IACM). Bleeck, S., Fox, P. D., White, P. R., & O'Meara, N. (2008). Auditory models and nonlinear filter banks in underwater auralization. Paper presented at 2nd ASA-EAA Joint Conference, Acoustics '08, . Zheng, H., White, P. R., & Pei, C. (2008). Estimation of frequency trajectories using parsimonious time-varying auto-regressive models with particle filters. In Proceedings of the Eighth International Conference on Mathematics in Signal Processing (pp. 46-50). Southend-on-Sea: Institute of Mathematics and its Applications. Saunders, K. J., White, P. R., & Leighton, T. G. (2008). Models for predicting nitrogen tensions and decompression sickness risk in diving beaked whales. 82-89. Paper presented at Institute of Acoustics: Underwater Noise Measurement, Impact and Mitigation 2008 Conference, . Saunders, K. J., White, P. R., & Leighton, T. G. (2008). Models for predicting nitrogen tensions in diving odontocetes. 88. Poster session presented at 22nd Annual Conference of the European Cetacean Society - Marine Mammals in Time: Past, Present And Future, . Saunders, K., White, P. R., & Leighton, T. G. (2008). Models for prediction nitrogen tissue tensions in diving odontocetes. 88. Paper presented at 22nd Annual Conference of the European Cetacean Society, 'Marine Mammals in Time: Past, Present and Future', . Gelman, L., White, P. R., Bateup, L., Cooper, I., Drabych, O., Hill, G., ... Tyrer, J. R. (2008). Novel high order spectral time-frequency nonlinear technologies for early damage detection. p.6. Paper presented at 9th International Conference ART-2008 - Non-destructive investigations and microanalysis for the diagnostics and conservation of cultural and environmental heritage, . Hadley, M., & White, P. R. (2008). Sperm whale tracking using particle filters. 83pp. Paper presented at ECS Conference 2008. "Marine Mammals in Time: Past, Present and Future", . Ryue, J., Thompson, D. J., & White, P. R. (2008). Wave reflection and transmission due to defects in railway tracks at high frequencies. 1251-1258. Paper presented at 15th International Congress on Sound and Vibration (ICSV15), Korea, Republic of. Finfer, D. C., White, P. R., & Leighton, T. G. (2007). Biological sources of ambient noise in the North East Atlantic Ocean. In J. S. Papadakis, & L. Bjorno (Eds. ), Proceedings of the Second International Conference on Underwater Acoustic Measurements, Technologies and Results (pp. 1223-1228). Southampton, UK: Institute of Sound and Vibration Research. Leighton, T. G., Finfer, D. C., & White, P. R. (2007). Cavitation and cetacean. 1-31. Paper presented at 19th International Congress on Acoustics (ICA2007MADRID), . Estupinan, E., & White, P. R. (2007). Cyclostationary analysis of a tool for the detection of incipient faults in helicopter gearboxes. 607-614. Paper presented at 2nd World Congress on Engineering Asset Management (EAM) and the 4th InternationalConference on Condition Monitoring, . Fox, P. D., Bleeck, S., White, P. R., Leighton, T. G., & Humphrey, V. F. (2007). Initial results on size discrimination of similar underwater objects using a human hearing model. In Proceedings of the Institute of Acoustics (pp. 233-239). St Albans, UK: Institute of Acoustics. Finfer, D. C., White, P. R., Leighton, T. G., Hadley, M., & Harland, E. (2007). On clicking sounds in UK waters and a preliminary study of their possible biological origin. In 4th International Conference on Bio-Acoustics (pp. 209-216). (Proceedings of the Institute of Acoustics; Vol. 29, pt.3). St Albans, UK: Institute of Acoustics. Leighton, T. G., Finfer, D. C., & White, P. R. (2007). Sonar which penetrates bubble clouds. In J. S. Papadakis, & L. Bjorno (Eds. ), Proceedings of the Second International Conference on Underwater Acoustic Measurements, Technologies and Results (pp. 555-562). Southampton, UK: Institute of Sound and Vibration Research. Leighton, T. G., Finfer, D. C., Grover, E., & White, P. R. (2007). Spiral bubble nets of humpback whales: an acoustic mechanism. In J. S. Papadakis, & L. Bjorno (Eds. ), Proceedings of the Second International Conference on Underwater Acoustic Measurements, Technologies and Results (pp. 583-588). Southampton, UK: Institute of Sound and Vibration Research. Romero-Vivas, E., & White, P. R. (2007). Time evolved cepstral coefficients for phonocardiogram signal representation. 523-533. Paper presented at 14th Mexican International Congress on Acoustics/14 Congreso Internacional Mexicano De Acústica, . Karatsovis, C., White, P. R., & Hammond, J. K. (2006). Cepstral analysis of piano notes. 623-632. Paper presented at Institute of Acoustics Spring Conference 2006: Futures in Acoustics: Today's Research - Tomorrow's Careers, . Becker, T., & White, P. R. (2006). Independent component analysis using Gaussian mixture models. Paper presented at Seventh International Conference on Mathematics in Signal Processing, . White, P. R., Finfer, D. C., Leighton, T. G., Powles, C., & Baumann, O. N. (2006). Localisation of whales using acoustics. 48-59. Paper presented at Institute of Acoustics Spring Conference 2006: Futures in Acoustics: Today's Research - Tomorrow's Careers, . Finfer, D. C., Leighton, T. G., & White, P. R. (2006). Marine mammals, noise and sonar in shallow coastal bubbly waters. 69-74. Paper presented at Institute of Acoustics Spring Conference 2006: Futures in Acoustics: Today's Research - Tomorrow's Careers, . Finfer, D. C., Leighton, T. G., & White, P. R. (2006). Marine mammals, noise, and sonar in shallow coastal bubbly waters. In Proceedings of the Institute of Acoustics Spring Conference (pp. 69-74). St Albans, UK: Institute of Acoustics. Robb, G. B. N., Leighton, T. G., Dix, J. K., Best, A. I., Humphrey, V. H., & White, P. R. (2006). Measuring bubble populations in gassy marine sediments: a review. In Futures in Acoustics: Today's Research - Tomorrow's Careers. Proceedings of the Institute of Acoustics Spring Conference. 2006 (pp. 60-68). St. Albans, UK: Institute of Acoustics. Andrianakis, I., & White, P. R. (2006). On the application of Markov Random Fields to speech enhancement. 198-201. Paper presented at Proceedings of the 7th IMA International Conference in Signal Processing, . Leighton, T. G., White, P. R., Finfer, D. C., & Grover, E. J. (2006). The sound of seas in space: the 'waterfalls' of Titan and the ice seas of Europa. 75-97. Paper presented at Institute of Acoustics Spring Conference 2006: Futures in Acoustics: Today's Research - Tomorrow's Careers, . Ryue, J., Thompson, D. J., & White, P. R. (2006). Wave propagation in railway tracks at high frequencies. In Proceedings of the Ninth International Conference on Recent Advances in Structural Dynamics (RASD2006) (pp. 11pp). Southampton, UK: University of Southampton. James, C. J., & White, P. R. (2005). Computational intelligence techniques in tracking and decomposing recordings of normal and abnormal heart sounds. Paper presented at Computational Intelligence in Medicine and Healthcare (CIMED 2005), . White, P. R., Collis, W. B., Robinson, S., & Kokaram, A. (2005). Inference matting. 167-171. Paper presented at 2nd European Conference on Visual Media Production, . Johansson, A. T., & White, P. R. (2004). A comparison of two methods for cetacean tonal detection and characterisation, with emphasis on performance at crossing frequencies. In Proceedings of the Institute of Acoustics Symposium on Bio-Sonar Systems and Bio-Acoustics St. Albans, UK: Institute of Acoustics. Baumann, O. N., & White, P. R. (2004). A new metric for objective segmentation evaluation. 35-38. Paper presented at Proceedings of the Sixth International Conference on Mathematics in Signal Processing, Cirencester, UK, 14-16 December 2004, . Fedele, F., Coleman, A. J., Leighton, T. G., White, P. R., & Hurrell, A. M. (2004). A new sensor for detecting and characterising acoustic cavitation in vivo during ESWL. 422-432. Paper presented at Proceedings of the Institute of Acoustics Spring Conference, Southampton, UK, 29-30 March 2004, . Andrianakis, I., & White, P. R. (2004). Adaptive bandwidth selection for mitigating the permutation problem in frequency domain ICA. 27-31. Poster session presented at Sixth Institute of Mathematics and its Applications (IMA) International Conference on Mathematics in Signal Processing, . Fedele, F., Coleman, A. J., Leighton, T. G., White, P. R., & Hurrell, A. M. (2004). Development of a new diagnostic device for extracorporeal shock-wave lithotripsy. 4pp. Paper presented at Proceedings of MEDICON 2004: X Mediterranean Conference on Medical and Biological Engineering 'Health in the Information Society', Ischia, Italy, 31 Jul-5 Aug 2004, . White, P. R., Leighton, T. G., & Yim, G. T. (2004). Exploitation of higher order statistics to compute bubble cloud densities: evading Olber's paradox. In Proceedings of the 7th European Conference on Underwater Acoustics (pp. 223-228). European Conference on Underwater Acoustics. Leighton, T. G., Richards, S. D., & White, P. R. (2004). Marine mammal signals in bubble water. Paper presented at Proceedings of the Institute of Acoustics Symposium on Bio-sonar and Bioacoustics Systems, Loughborough, UK, 16 Sep 2004, . Leighton, T. G., Richards, S. D., & White, P. R. (2004). Marine mammal signals in bubbly water. In Proceedings of the Institute of Acoustics Symposium on Bio-sonar and Bioacoustics Systems Institute of Acoustics. White, P. R., Baumann, O., & DeStefano, A. (2004). On improving the noise reduction algorithms using image segmentation. 501-504. Paper presented at Proceedings of European Signal Processing Conference (EUSIPCO), . White, P. R. (2004). On the performance of phase based processing schemes. In Proceedings of the Institute of Acoustics Symposium on Sonar Signal Processing (pp. 35-40). St. Albans, UK: Institute of Acoustics. Boltryk, P., Hill, M., & White, P. R. (2004). Peak-finding methods for improving the resolution of a sonar-based correlation velocity log. In Proceedings of the Institute of Acoustics Symposium on Sonar Signal Processing (pp. 206-213). St. Albans, UK: Instititue of Acoustics. Collis, W. B., Robinson, S., & White, P. R. (2004). Synthesising film grain. 231-234. Paper presented at 1st European Conference on Visual Media Production, . Leighton, T. G., Dumbrell, H. A., Heald, G. J., & White, P. R. (2004). The possibility and exploitation of nonlinear effects in the near-surface oceanic bubble layer. 205-210. Paper presented at Proceedings of the Seventh European Conference on Underwater Acoustics, Delft, Holland, 5-8 July 2004, . De Stefano, A., Allen, R., & White, P. R. (2004). Undecimated wavelet transform for enhancement of videofluoroscopic images. Paper presented at MEDICON 2004, . Brothers, R. J., Robb, G., Leighton, T. G., Heald, G. J., White, P. R., & Dix, J. K. (2004). Very high frequency backscatter from a rough sediment. In Proceedings of the 7th European Conference on Underwater Acoustics (pp. 613-618). Delft, The Netherlands: Delft University of Technology. Richards, S. D., White, P. R., & Leighton, T. G. (2004). Volume absorption and volume reverberation due to microbubbles and suspended particles in a ray-based sonar performance model. In Proceedings of the 7th European Conference on Underwater Acoustics (pp. 173-178). European Conference on Underwater Acoustics. Collis, W. B., Robinson, S., & White, P. R. (2004). Wire removal. 133-138. Poster session presented at 1st European Conference on Visual Media Production, . White, P. R., & McInerny, S. (2003). A use of the trispectrum in the monitoring of rotating machinery. 4672-4678. Paper presented at Internoise 2003, Jeju, Korea, Republic of. Johansson, A. T., & White, P. R. (2003). Characterisation of cetacean whistles by parametric modelling. In Proceedings of the 17th Conference of the European Cetacean Society (pp. 71-72). European Cetacean Society. White, P. R., & McInerny, S. (2003). Fourth order statistics and their use for vibration monitoring. COMADIT 2003, . White, P. R., McInerny, S., & Notley, S. (2003). Nonlinear dynamical measures for the detection of faults in machine condition monitoring. Paper presented at Bifurcations: The Use and Control of Chaos, . White, P. R., & Hammond, J. K. (2003). Non-stationary and non-linear signal processing. 35-44. Paper presented at Internoise 2003, Jeju, Korea, Republic of. White, P. R. (2002). Estimation of spatial spectra in a non-stationary environment. In Proceedings of EUSIPCO 2002: XIth European Signal Processing Conference (pp. 229-232). European Signal Processing Conference. White, P. R. (2002). High resolution spatial spectrum estimation in a non-stationary environment. 425-431. Paper presented at 14th International Conference on Digital Signal Processing, Greece. Boltryk, P., Hill, M., Keary, A., Philips, B., Robinson, H., & White, P. (2002). Improvement of velocity estimate resolution for a correlation velocity log using surface fitting methods. In Proceedings of Oceans '02 MTS/IEEE (pp. 1840-1848). (IEEE Conference Proceedings; Vol. 3). Biloxi, USA: IEEE. Institute of Electrical and Electronics Engineers. White, P. R. (2002). Non-linear techniques for estimating non-stationary spatial spectra. Paper presented at IEE Workshop on Nonlinear and Non-Gaussian Signal Processing (N2SP), . Abrard, F., Deville, Y., & White, P. R. (2001). A new source separation approach for instantaneous mixtures based on time-frequency analysis. 259-267. Paper presented at 5th Workshop on Electronics, Control, Modelling, Measurement and Signals, . Yim, G. T., White, P. R., & Leighton, T. G. (2001). Estimation of the time, location and natural frequency of entrained bubbles, through identification of individual bubble signatures in a severely overlapping, noisy surf zone environment. In Acoustical Oceanography. Proceedings of the Institute of Acoustics (pp. 250-256). St Albans, UK: Institute of Acoustics. Giani, A., White, P. R., Collis, W. B., & Weston, M. (2001). Exploiting input space symmetries in video deinterlacing using radial basis function networks. 536-539. Paper presented at Proceedings of the International Conference on Image Processing, . Abrard, F., Deville, Y., & White, P. R. (2001). From blind source separation to blind source cancellation in the underdetermine case: A new approach based on time-frequency analysis. Paper presented at Proceedings of the ICA 2001: 3rd International Conference on Independent Component Analysis and Signal Separation, . White, P. R. (2001). The characterisation of bio-acoustic signals through time-frequency methods. In Proceedings of the Institute of Acoustics 2nd Symposium on Underwater Bio-Sonar and Bioacoustic Systems (pp. 165-174). Institute of Acoustics. Ewe, C., Parker, K., White, P., & Henry, J. A. (2001). The pulse oximeter as a non-invasive measure of cardiovascular response to lower body negative pressure. A8. Paper presented at Scientific Meeting of the Faculty of Accident and Emergency Medicine, . Petley, G. W., Hughes, E. R., Leighton, T. G., & White, P. R. (2000). A stratified model of ultrasonic propagation in bone: implications for osteoporosis. Paper presented at 6th Annual National Conference of the Institute of Physics and Engineering in Medicine, . Keary, A., Hill, M., White, P., & Robinson, H. (1999). Simulation of the correlation velocity log using a computer based acoustic model. 446-454. Paper presented at 11th International Symposium Unmanned Untethered Submersible Technology, . Hannis, S., Chadwick, A., Pearce, J., Jones, D., White, J., Wright, I., ... Leighton, T. (2015). Review of offshore monitoring for CCS Projects, 2015/02, July, 2015. Cheltenham, GB: IEA Environmental Projects Ltd.
Saunders, K. J., White, P. R., & Leighton, T. G. (2010). Could bubble growth by rectified diffusion produce macroscopic bubbles in the tissues of beaked whales? (ISVR Technical Report; No. 331). Southampton, GB: University of Southampton. Leighton, T. G., Finfer, D. C., & White, P. R. (2007). Ocean acoustic circumpropagation in the ice seas of Europa. (ISVR Technical Reports; No. 319). Southampton, UK: University of Southampton. White, P. R., Leighton, T. G., Saunders, K., & Jepson, P. (2007). Review of the mechanisms by which anthropogenic noise may cause cetacean strandings. (ISVR Technical Report; No. 316). Southampton, UK: University of Southampton. Andrianakis, I., & White, P. R. (2006). Bayesian algorithms for speech enhancement. (ISVR Technical Reports; No. 305). Southampton, UK: University of Southampton. Hughes, E. R., Leighton, T. G., Petley, G. W., & White, P. R. (2001). A review of scattering models for ultrasonic propagation in the trabecular bone. (ISVR Technical Report; No. 293). Southampton, UK: University of Southampton, Institute of Sound and Vibration Research. Hubbock, E., Leighton, T. G., White, P. R., & Petley, G. (1998). A theoretical study of factors affecting the Biot slow wave in cancellous bone. (ISVR Technical Report; No. 271). Southampton, GB: University of Southampton. Camillacci, R., Ferguson, N. S., & White, P. R. (2002). Identification of nonlinear normal modes and coupled nonlinear modes. (ISVR Technical Memorandum; No. 884). Southampton, GB: University of Southampton.